I feel like I say this every month but I swear this month flew by!! June came and went so quickly, but because of my new job (which I swear I will post about next month), I've been able to try a ton of new products. While I've recently been focusing a little bit more on beauty, I swear my main priority is still fashion and I'll make sure to link some of my newest items below! Once you get through all eight of my June 2018 favorites, let me know in the comments what you've been loving so I can check it out! If you follow my blog and social media platforms closely, you probably have noticed I've been pretty absent for more than a month. Today I sat down and realized I not only hadn't posted on Instagram in a month and a half, but I hadn't posted a single post to my blog – something that I normally really focus on, posting five separate blogs a month. I really hope I never let the things I love slip through the cracks like this again, and while I frantically finish the five posts for this month in one day, here's why these last two months have left me feeling swamped and uninspired. In Chicago, the three months of beautiful weather make up for the other 9 months that consist of cloudy skies and frigid temps. Chicago summers are full of beach days, drinks on rooftops and nights exploring new restaurants and bars. If you're visiting Chicago or have been here forever and need inspiration, here are a few of my favorite things to do over a Chicago summer. 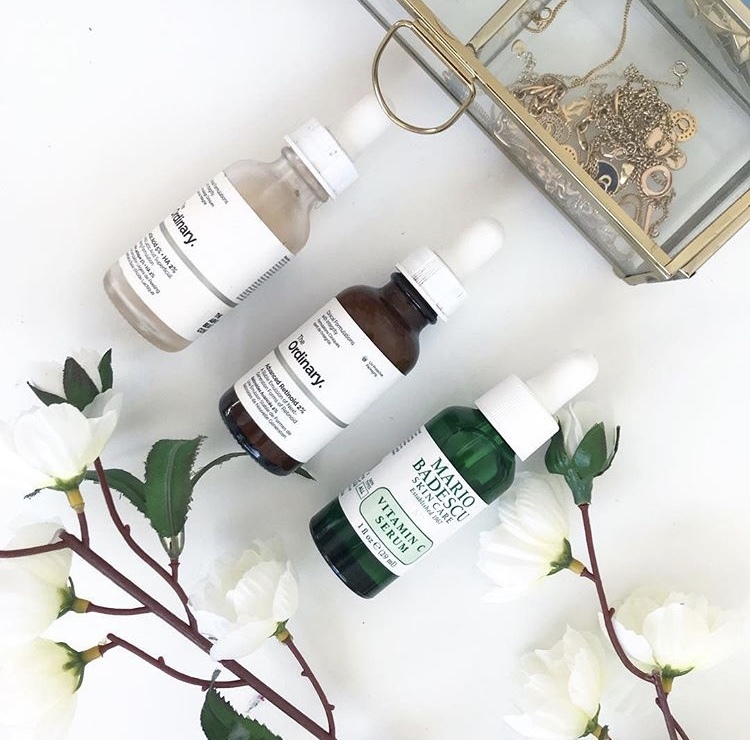 I'm obsessed with my skin care routine and am constantly trying new products, but there's one thing that I always have to have in my cabinet – Vitamin C Serum. It seems like a small step, but I swear it makes a world of difference. Just hear me out. I'm the WORST at planning my outfits ahead for events and always end up frantically running from store to store the day before. This 4th of July is no different, but in case anyone else is in the same shoes as me, I've pulled together a selection of cute 4th of July looks – all of which are super affordable!